Here's a great idea: some Mom to Mom groups have been selecting one devotional book each year for all their leaders to use together. They begin each weekly Mom to Mom leader gathering with one of the leaders offering a devotional based on their current joint reading. It really draws the Titus 2 women together and helps to deepen them spiritually. Choosing a book to focus on discussing with Mom to Mom Titus 2 leaders during any given year is a very individual decision. It is best based on the particular needs and interests of your group of leaders. Of course, new books appear continually—but that does not mean some of the “oldies but goodies” should be overlooked. Below you will find a few of my favorites, as well as some that have been recommended to me by Mom to Mom leaders throughout the country. 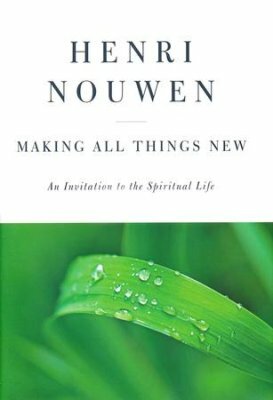 Please note that many of the books listed under “Favorite Devotionals” and “Books That Have Nurtured My Soul” also make for excellent discussion in a group. Reflections from a lay brother in a 17th century Carmelite monastery on sensing the presence of God in the everyday tasks of life (he worked in the kitchen and as a sandal-maker). Amazingly applicable for moms! Sort of a contemporary version of Brother Lawrence. A practical perspective on how to experience deeper intimacy with God by opening our eyes to His presence in the ordinariness of everyday life. A deep classic on the power of prayer to transform ministry—and us! A 20th-century classic on the qualities of a Godly leader, blending both spiritual gifts and "natural" (though God-given) talents. A thoughtful and authentic look at what happens when leaders lose their souls, with practical helps for nourishing leader souls. A New York City Pastor shares out of His own journey the dangers of unhealthy spirituality and provides seven Biblical, reality-tested principles for emotionally sound spiritual leadership. A call to recognize and acknowledge the suffering in our own hearts and lives in order to minister to a wounded world. Soul-searching letters from a 17th century priest and theologian that will sear your heart. Correction, conviction, and deep encouragement—a book I should re-visit annually!